As the crankshaft flexes and twists, the balancer absorbs incredible amounts of kinetic energy. 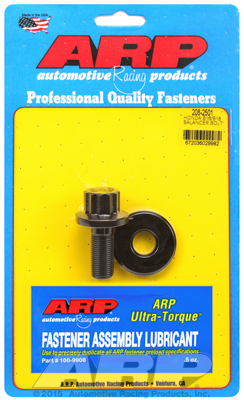 To ensure that the balancer is locked in position, ARP has developed these ultra strong 200,000 psi bolts that let you exert maximum clamping force. Special features include 1/4" thick, wide area washer and an extra tall 12-point head that accepts a deep socket and eliminates the worry of stripping the head. Want this item shipped out today, April 24? Order within the next 1 hrs 12 mins.